(CNS): In addition to the activities planned for Honouring Women Month in March, government has announced a year-long calendar of events to mark the 15th year of the special observance. Under this year’s theme "Strong Girls. Strong Women. Strong World", the Family Resource Centre (FRC) is partnering with the community to organise a month of activities and events. First is the publication of a community calendar that will include public events for the year and inspirational quotes. Images will also be used to depict positive messages about women and girls. “This calendar will serve as a powerful reminder that we have a strong community made up of organisations that aim to bring awareness and make it a great place for all to live,” said Dwayne Seymour, who recently became the community affairs minister. Planned as a fundraiser, the calendars will be available for sale at a cost of CI$10 each. Proceeds will go towards programmes and services offered by FRC that empower girls and women in the community. Whether it is a photo, poem or essay, FRC is urging the public to contribute a piece of art to the calendar. Companies and organizations are also encouraged to submit their community events to be featured. All submissions must be made by Wednesday, 15 February. An award will be given to those selected. Encouraging public participation, FRC’s Programme Coordinator Miriam Foster emphasised that citizens and residents should view it as a community-minded calendar made by community-minded people. Companies and organisations can also sponsor a month in the calendar. With an opportunity for advertisement, each sponsor’s name and logo will be featured in the calendar for that particular month. The calendar will be revealed at International Women’s Day Ceremony on 8 March 2013, at the National Gallery. The event is geared towards families of all ages and everyone is invited to attend. “I encourage all to do their part and help celebrate girls and women in our community, by recognising their strengths and their ability to lead,” said Foster. For more information on Honouring Women Month festivities, to become a sponsor or submit a photo for the calendar, contact 949-0006 or email frc@gov.ky. As well as the ability to provide the proper care needed to raise a young family, participants also gain employment skills. “It has been wonderful to see these young mothers blossom and make a commitment toward becoming better parents and employees,” Foster added. Throughout the course, individuals also receive psychological and emotional support from programme facilitators and counsellors. The programme also addresses potential risk for child abuse and neglect. In addition the Health Services Authority (HSA), Department of Children & Family Services and other community partners provide other psycho-educational components. Once certain criteria are achieved, clients become eligible for work experience. To become a sponsor of any of the programmes and services offered at FRC, companies are encouraged to contact Miriam Foster at 949-0006 or email frc@gov.ky. 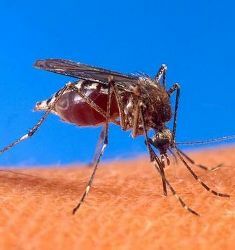 (CNS): The latest statistics from health officials regarding the number of dengue fever cases in Cayman reveals that so far this year 23 suspected cases have been reported to the Public Health Department. In the last week of January alone some 15 new cases were investigated, with none of the patients having a travel history to endemic countries. Three of them were admitted to hospital. Five of them were residents of George Town, three were from Bodden Town and seven were from West Bay, where the majority of locally transmitted cases have occurred. However, all of the six results received during last week from the Caribbean Public Health Agency (CARPHA) tested negative. So far, since the start of 2012 the health authority has results for 96 cases, 36 have been positive, 56 negative and four were inconclusive, with 21 results are pending as the disease becomes increasingly entreched in Cayman. The total cases investigated for dengue in 2012 were 94, with a further 23 since the beginning of this year, and a total of 28 people have been treated in hospital for what can be a severe illness. From these 36 confirmed cases, only 12 have reported a travel history to endemic countries with 24 patients contracting the mosquito borne disease locally, indicating that Cayman is no longer free of the disease. (CNS): A lone woman spent several hours in the hot sun on Monday demonstrating over what she says is injustice and persistent mistreatment by the police. Verona Davis claims to have been victimized and mistreated by police in her search for justice. She accuses the police of deriding her and trying to paint her as crazy when she has never been diagnosed with any mental health issues. Davis, who is a Caymanian, says her problems began some time ago when she was mixed up with another person known to the police with the same surname. The mistreatment began when she complained about the police error . Davis says that despite filing numerous complaints about the bias towards her and the unfair treatment, her complaints have not be properly addressed and her human rights are being infringed. She told CNS that the police deride her in public and dismiss reports she has made to them about others threatening her life. Davis also complained about being mistreated by immigration officials as she held her protest on Monday in the hot sun. Davis said she wanted the police and other government authorities to take notice and stop mistreating not just her but many others who complain of the dismissive attitude of the RCIPS in some cases and their unfair treatment of some people in the community over others. 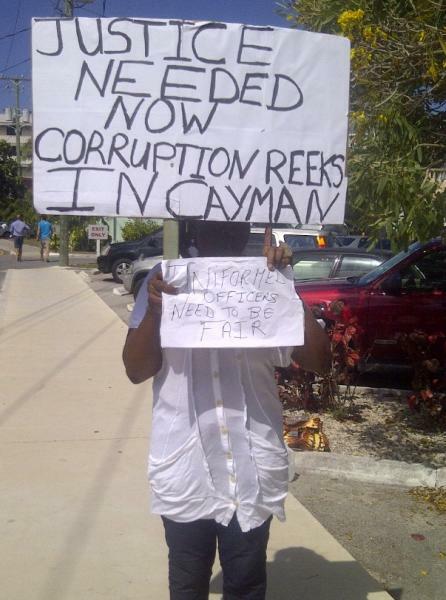 “I would like to be dealt with fairly; the laws of the land are for everyone,” she said as she walked up and down outside George Town police station with a homemade placard. While officers came out from the station to ask her if she needed water, Davis said no one from management had come to speak with her regarding her grievances. CNS contacted the RCIPS but the police declined to comment in regard to Davis' grievances. (CNS): With the continuing popularity of awards, medals and gongs in Cayman honouring anything from a job well done or upholding local culture to long time achievements, government has introduced a new award scheme that will honour and highlight the achievements of Cayman’s young people. The Proud of Them campaign, launched on Monday by the youth minister, offers the public a chance to nominate a young person, between the ages of 10 and 25, to be recognised for their highest achievements. The community has until 1 March to put the names of individuals who have made a significant level of attainment in academics, career, business, sports, culture or community service. Once selected, honourees will be featured on billboards for a period of six months at a time. “Public nominations allow citizens to exercise their national pride by celebrating our very own young ambassadors,” said Mark Scotland, as he urged local residents to nominate. Nominations are encouraged from each district so that those selected will have a direct, real and relevant connection to young people of that particular district. “Promoting the strengths of our youth will force us to work together and build stronger communities,” Scotland added. Proud of Them Committee Chairman Joel Francis said there was a lack of recognition for the accomplishments of some young people. “Recognition is much more meaningful than we think,” he said, adding that officials were hopeful that this programme would empower young people to continue to strive higher, while inspiring others to do the same. (CNS): The former premier of the Cayman Islands has once again been released by police on bail after he presented himself to police officers involved in the investigations surrounding him. McKeeva Bush, the leader of the UDP and MLA for West Bay, and local businessman Suresh Prasad both complied with the conditions of their bail and turned up for questioning Tuesday morning. However, a spokesperson for the RCIPS said they were re-bailed to return in late March in the face of a widening corruption probe. The police said that enquiries were ongoing and said the probe now included locations in Europe, the United States and in Asia. The police said that RCIPS officers were working closely with law enforcement colleagues overseas and the investigation was being progressed as expeditiously as possible. “The investigation is still very active and police are following several positive lines of enquiry,” the police said. “The re-bailing of the suspects is to allow further investigations to take place in a number of foreign jurisdictions, including locations in Europe, the United States and in Asia." The RCIPS said the enquiry team was required to follow the stringent, and often lengthy, legal processes in place within overseas jurisdictions to obtain the necessary evidential exhibits and supporting statements, adding that the RCIPS appreciates the widespread public interest and concern in relation to this investigation but as it is still active it would be inappropriate to make any further comment. Bush was arrested on suspicion of theft and various offences under the anti-corruption law in December and released on police bail after two days of questioning to return today. Since then the former premier has vehemently denied any wrongdoing. However, at a public meeting following the arrest and his subsequent ousting from office by his former Cabinet colleagues, Bush said he still expected to be charged at some point before the general election in May as a result of a conspiracy against him. Bush will now return to the police to answer more questions close to Nomination Day ahead of the election in which he has vowed to run. 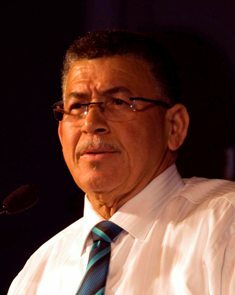 The former premier’s arrest relates to allegations of misuse of a government credit card and abuse of office regarding his involvement with a consignment of dynamite, which was imported by Midland Acres, a local quarry and property business based in Bodden Town, without the correct permits and licences. The owner, who is known to be a close friend of the former premier, appeared in Summary Court last year after he and his company were charged with the unlawful importation. As MD and owner, Suresh Prasad chose not to fight and pleaded guilty to the offence and received a fine of $1,300. However, Prasad was arrested again bypolice on the afternoon of 11 December and questioned on suspicion of offences under the anti-corruption law, including breach of trust, abuse of office and conflict of interest. He was also bailed by police to return for further questioning this month. Meanwhile, Bush is also understood to still be under police investigation for at least one other matter, which relates to a real estate bill sent in 2004 to Stan Thomas, a former land owner in Cayman, regarding the zoning of property that Thomas owned at the time along the West Bay Road that he was seeking to develop but which has since been bought by the Dart Group. Following Bush's arrest on 11 December, his former Cabinet colleagues supported a 'no confidence' motion filed by the opposition in the Legislative Assembly, which resulted in the downfall of the UDP administration. The opposition then agreed to support the remaining Cabinet members in a minority government by offering to ensure that there would be a quorum in the Legislative Assembly. As a result, the governor agreed to appoint the then deputy premier, Juliana O’Connor-Connolly, as the new premier to head government until the general election on 22 May. Despite his difficulties, Bush came out fighting and carried one Cabinet member and two of his back-bench UDP colleagues on to what became a very crowded opposition bench. Shortly after his arrest he held a public meeting in George Town, where it was clear he still carried considerable support. He told the crowd that he had been questioned by the police regarding overseas dry cleaning bills and political books he had purchased in London for a library in the premier’s office. Describing his arrest as a conspiracy and pointing the finger at the governor and the Foreign Office, Bush vowed not only to fight the allegations but alsoto continue the political fight with a full slate of UDP candidates in West Bay, Bodden Town and George Town at the May election. When Bush was released on bail by police in December, the police stated that this was to allow for further investigations and confirmed that a considerable amount of property, including computer equipment, was seized during the searches of his home and office. (CNS): An 18-year-old man has now been charged by police and was expected to appear in court Tuesday morning following a road rage incident in George Town in the early hours of Sunday morning. The teenager has been charged with inflicting GBH, a reckless and negligent act, dangerous driving, leaving the scene of an accident and damage to property after he dragged another driver several hundred yards along the road following a car smash on Shedden Road. Police said the victim remains in a critical condition in hospital overseas. According to the police report the teenager was driving a vehicle which collided with another car being driven by a 24 year old man. An altercation then occurred between the two men and when the younger driver tried to leave the seen the victim attempted to cling on to his vehicle but was then dragged along the road as the car drove off. Police enquiries are on-going and anyone who was in the vicinity of Shedden Road at the relevant time is asked to contact George Town police station on 949-4222, the RCIPS tip-line 9494-777 or Crime Stoppers 800-8477 (TIPS). The Cayman Islands, which was long dubbed the “Islands Time Forgot”, transformed over the span of 50 odd years from a sleepy farming and fishing village way of life to an economically progressive jewel of the Caribbean. In the Cayman of yesteryear when families worked together from home to produce goods and services, childbearing and rearing co-existed more easily because children were not considered a financial burden on a household but were viewed as future participants in the subsistence activities of the home. This transformation into the modern way of life that we now know included the participation of women in employment not only in the private sphere of households as paying employers but into the paid economy of the public sphere. While international research has shown that the participation of women in the paid economy benefits not only their families but also the development of the country, the resulting changes within households have created a gender gap in time use between women and men. The increased demand for women’s time and skills in the labour market has not resulted in a compatible increase of men’s time in the household regarding caregiving work for children and/or the elderly. The corporate or public sectors have also not introduced onsite day care or well established adult day care programmes. As a result of these employment changes, relationships between spouses, partners, and members of the households have transformed. Households in the Cayman Islands have become heavily depended on immigrant domestic workers — almost exclusively female — to provide the caregiving and other critical domestic work. Regardless of where you call home, what currency you use or what language you speak, time is the one thing in the world that needs no currency conversion chart or an interpreter. Every day consists of 24 hours, and everyone has the same amount of time allotted to them per day. However, what a person does within those 24 hours is often times influenced by whether a person is male or female. Additionally, what one does with his or her time during those 24 hours determines whether or not they will be paid and how much they will be compensated. Based on data from the 2010 Census of Population and Housing, females overall in the Cayman Islands performed paid work an average of 36 hours per week compared with 42.6 hours performed by males. However, Non-Caymanian females worked 42 hours per week on average, which was more than both Caymanian females (30.8 hours) and Caymanian males (37.3 hours). Non-Caymanian males averaged the longest work week at 47.9 hours of paid work. While the 2010 Census did not measure time use of caregiving tasks, the 1999 Cayman Islands Population and Housing Census did. That census revealed that females aged 15 and over when compared to their male counterparts spend more time doing unpaid housework and unpaid child care, and the residents of East End, North Side and Cayman Brac spent more time on unpaid housework than other districts. On average, females spent 13.5 hours and males spent 7.2 hours on unpaid housework per week. Excluding persons who did not spend any time on child care, the average time spent by persons delivering unpaid child care was 19.1 hours, with females spending 22.5 hours and males 13.7 hours per week. Interestingly, 15.5% of the 1999 population reported spending time on unpaid elderly care with males and females 15 years or older spending comparable amounts of time. Females spent 5.7 hours and males 5.3 hours per week. Unpaid work by women and men benefits many people both inside and outside the household, but often times this unpaid work is so intrinsically linked to feminine gender roles that women are expected to carry out these unpaid tasks regardless of their paid employment status. Therefore, because women continue to bear the greatest responsibility for and spend the most time on unpaid childrearing, caregiving and domestic work, this affects the amount of time that they are able to engage in the paid economy. Often times this puts women in financially vulnerable positions because they are not able to earn an income in the same manner as men. In the 2010 Census, chronic non-communicable diseases were more prevalent among females and this gender gap was widest for persons with high blood pressure. 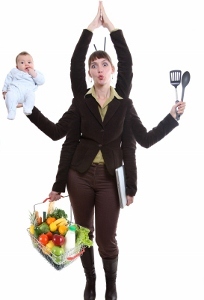 It gives reason to wonder if women’s load of multi-tasking both paid and unpaid work has not only left them unable to earn more money in the paid economy but also exhausted and putting their health at risk. What can be done to help close the gender gaps in time use? As a society,private and public sector organisations can encourage family friendly policies around issues such as maternityand paternity leave, parental leave, flexible work hours and locations, onsite or referred child care assistance, and flexible workforce entry and re-entry opportunities. Employers can ensure that women and men are receiving equal pay for work of equal value, and they are in compliance with other areas of the Gender Equality Law. On an individual level, we can begin to teach our children that caregiving and housework are not demeaning activities but they are valuable and necessary skills that ensure the effective running of a household and positively benefit society in the long run. By also not stereotyping these activities for only girls or women to perform, we are one step closer to closing the gender gaps in time use. (Stingray Swim Club): Island Heritage will ‘step up to the blocks’ at the Lions Aquatic Centre for the first time this weekend as the sponsor of the Island Heritage Sprint Plus Meet, February 2-3rd. The Sprint Plus is a new format which is being introduced under the guidance of Stingray Swim Club’s Head Coach Andy Copley and CIASA’s Technical Director, Ian Armiger. The two-day format allows the swimmers to compete in the usual Sprint Meet events which are short, fast and furious 50m events but also, the extended time allows for a limited number of the ‘longer 100m and 200m sprints’ to be featured as well. Monique Bush, Assistant Marketing Manager at Island Heritage said this about Island Heritage’s decision to support swimming this year. “We are delighted to participate in this year’s Sprint Plus Meet hosted by Stingray Swim Club. We have seen the sport of swimming grow exponentially in the last couple of years and when the opportunity to support Stingray; and to be a part of this important training build up to CARIFTA presented itself we simply had to say yes. “The discipline and commitment which these young swimmers display day after day; week in and week out; all year long is to be commended. We have seen what can be achieved, with the recent successes of Shaune and Brett Faser in the London 2012 Olympics and now the next generation of Caymanian Olympians are getting ready to make their move too,” she added. SSC President, Brenda McGrath was delighted to welcome Island Heritage to the Cayman Islands swimming community. “We are looking forward to the Sprint Meet and encourage friends and family, as well as anyone who enjoys seeing our youth involved in positive activities, to come to the Lions Aquatic Centre this weekend. 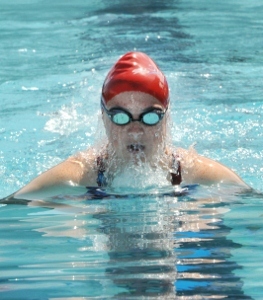 You can volunteer or just support the athletes as they compete,” she said. For more information on Stingray Swim Club visit www.caymanswiming.com or to volunteer at the Meet email the Meet Directors Albert Anderson at albert.anderson@time4lime.com or Kathy Jackson at kjackson@atwaterltd.com. (CNS): The CNCF is looking for singers, dancers, actors and funny people to join this year’s cast of the popular annual review show Rundown. Like its stewed namesake Rundown has a little bit of everything in it and includes a smorgasbord of nationalities, headlines, catchy tunes and the hot topics that have kept Cayman’s audiences coming back for second and third helpings over the past 22 years. This annual comedy revue was the brainchild of Dave Martins, and over the decades, it has become one of the most popular stage productions in the Cayman Islands. In every pot, there’s a serving for everyone from politicians to the media as well as the man on the street, expatriates and even the chickens and iguanas. The show is designed and directed by Henry Muttoo and features a star studded cast of local actors and musicians. The 2013 line up will include “Auditions” “Talk Across” “Cayman Derby Antique Roadshow” “Crime Pirate Treasure Island” “Talkin’ Baby” “Rooster Parrot Ellio, Austin & Gilbert” “Cricket Love Thy Neighbour” “School’s Challenge Quiz” “Grandpa’s Advice” “Old Time Days & Ways Death is Compulsory” and many more hilarious scenes. Anyone interested in taking part in this year’s show is asked contact admincncf@candw.ky or call 949-5477 to book an audition today. For those not interested in baring all on stage tickets are on sale at Funky Tangs, all Foster's supermarkets & the CNCF. Rundown 2013 will open at the Harquail Theatre, on April 25th until May 12th. Thursday to Saturday shows start at 8pm, Sunday shows start at 6. Tickets are $25 for adults & $15 for children. The Storm, still without the services of Vanassio Tokotokovanua and Jeffrey Robinson welcomed back Camilo Andres and Keswick Wright, the latter making a surprise 180 degree turn on his decision to take early retirement from Rugby. The Storm also welcomed the addition of local boy Dane Campbell and new front row forward Simon Dunsford to the match day squad. The Iguanas were fast out of the blocks and controlled the early exchanges of the game and it was Iguana winger Marcus Cumber who racked up the first point for the Iguanas with an easy run under the posts from a well worked move off an Iguana set piece. 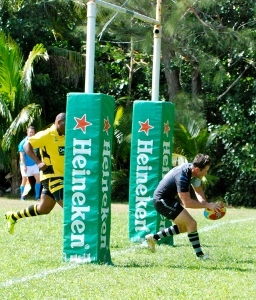 The try was converted to take the score to 7-0. The Iguanas scored again when a deep kick was knocked into the try area by Keswick Wright and Iguana fly-half Shaun Harcastle took the opportunity to touch the ball down to extend the Iguana lead to 14-0. A further Iguana penalty kick was notched up by Hardcastle before the Storm had their first taste of points. A loose kick from the Iguanas in their own half went to the Storm back line who thrive on loose open play and it was unsurprisingly Keswick Wright who ran in a try in the corner to make up for his earlier mistake and to ring in the half time score of 17-5. With the clock winding down and the Iguanas spending large periods defending their try line a further kickable penalty for Shaun Hardcastle extended the Iguana lead to 15 points 25-10 meaning that the Storm would need to make at least 3 scores to take the win but with only a further unconverted Hugh Williams try the Storm earned the closing points of the game. The 10 point loss still leaves the Storm without any league points after 2 games. The Storm, coming off 3 straight losses to the Buccaneers (in the Heineken Charity Shield), the Pigs Trotters and now the Iguanas will be looking to stem the blood loss as they take on the Advance Fire & Plumbing Buccaneers at 2pm on 9 February. The 2nd game on Saturday ended in a nail biting 17-17 draw between the Advance Fire and Plumbing Buccaneers and the Queensgate Pigs Trotters. The Buccaneers, welcoming back Stefan Prior in the scrum and Paul Murphy at full-back were also buoyed by the addition of Morgan Shelver at fly-half in replacement of Michael Peck who is now out for the season. The Buccaneers appeared to have the Pigs Trotters on the ropes early on with captain Dan Bond bullying his way to the try line twice to take the score to 12-0 before some enterprising play from the Pigs Trotters saw Paul Westin earn a try for the men in red and a Marco du Plessis conversion brought up the half time score of 12-7. The 2nd half of the game however saw a resurgent Pigs Trotters side use their powerful forwards Paul Parker and Connan Hill to notch up 2 more unconverted tries balanced by a Buccaneer flyer Addae Andrews try in the corner to see in the draw. The Pigs Trotters, whilst happy to come away with a draw having gone 12-0 down early in the first half will be looking to week 3 to ensure that Marco Du Plessis’s kicking boot finds its former form against the league leading Iguanas as a few missed penalty kicks could have sealed a 2nd consecutive win for the Pigs Trotters. The draw with the Pigs Trotters sees the Buccaneers leapfrog the Cayman Storm into 3rd place whilst the Iguanas and Pigs Trotters remain in 1st and 2nd in the league standings. 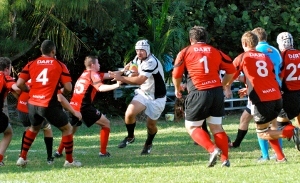 Whilst games are televised online on www.caymanrugbytv.com games can be watched (at no charge) in South Sound at the Cayman Rugby Football Club and spectators will not be disappointed with ample fast, hard hitting action!